Fort Kirk Burn, Durisdeer A small, oblong, rectangular, entrenched earthwork. 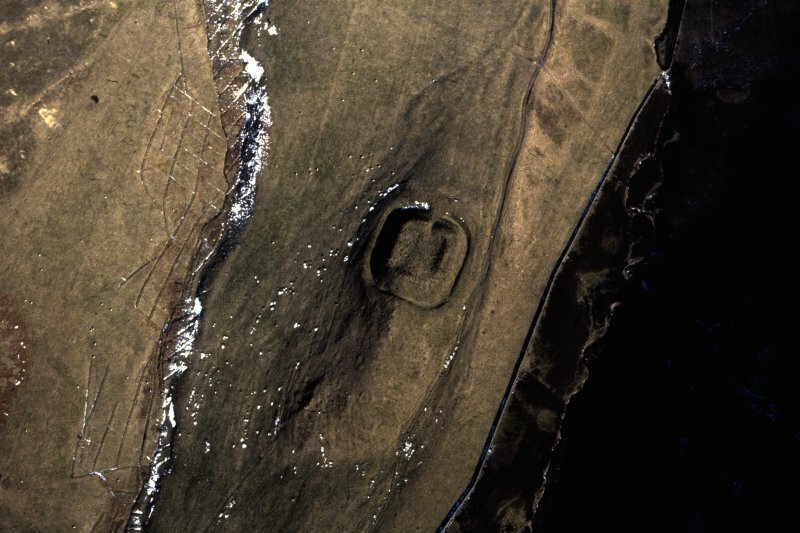 The small earthwork on the Kirk Burn is a Roman fortlet of 'road-police' type similar to that at Milton (Dumfries 24 NE 2). Excavation, in 1938 revealing two timber buildings, shows that it was occupied twice during the Antonine period, possibly by mounted units. This well preserved Fortlet has been formed by cutting into a natural spur - the ditch on the SW being clearly seen to have been cut through the end of the spur. The inner bank is now spread to some 4.0m and is 0.5m high internally on the NW and SE sides, and 1.2m high on the NE and SW. The interior of the Fort, lies 3.8m above the outer ditch all round, except on the NE where the entrance is level with the crest of the spur. The ditch is 4.0m broad with an outer bank 0.8m high, the scarp of which falls away into the natural hill-slopes on the NW side. 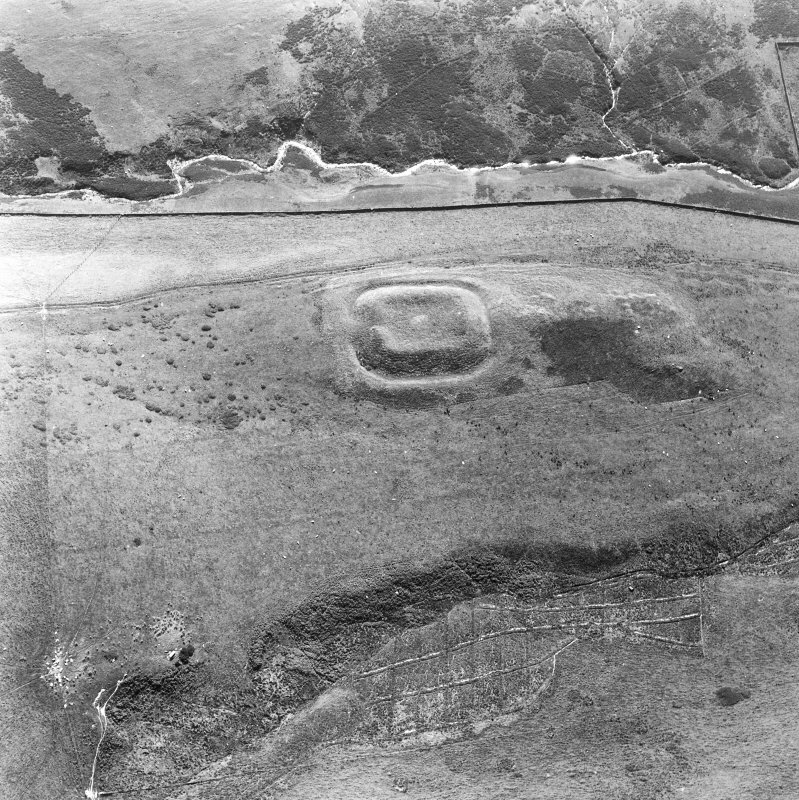 The entrance on the NE is 3.0m wide fronted by a causeway 6.0m wide over the ditch. Here the rampart scarp is 1.5m high. The tutulus lies 22.0m beyond the entrance and is now only perceivable as a very shallow ditch 11.0m long by 5.5m broad and 0.3m maximum depth, having recently been ploughed over by re-seeding operations. 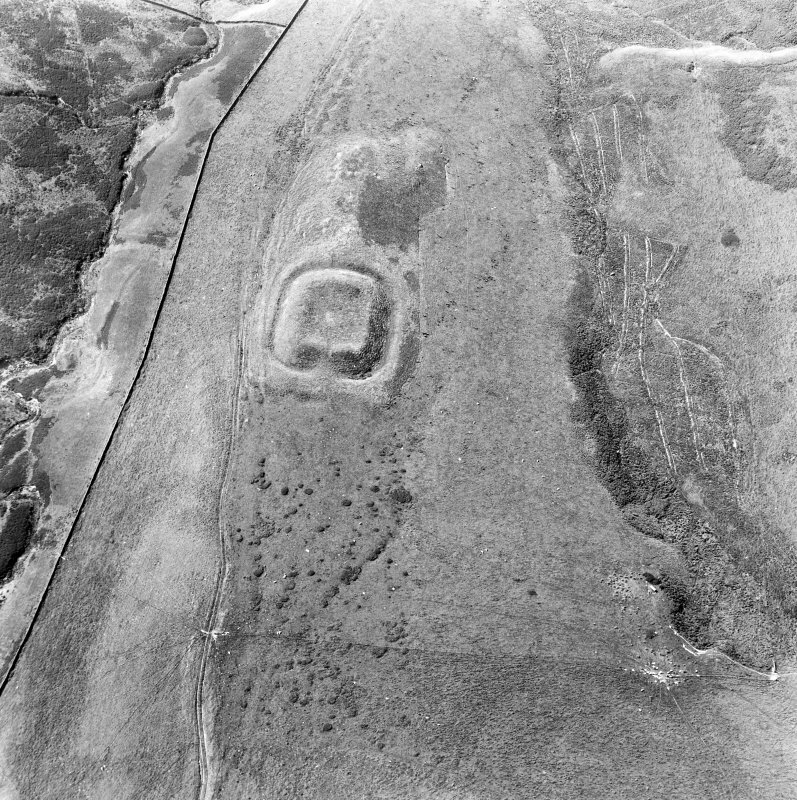 Internally the earthwork measures 18m x 24.0m and the sites of the buildings excavated in 1938 can just be traced against the NW rampart as a disturbed area. 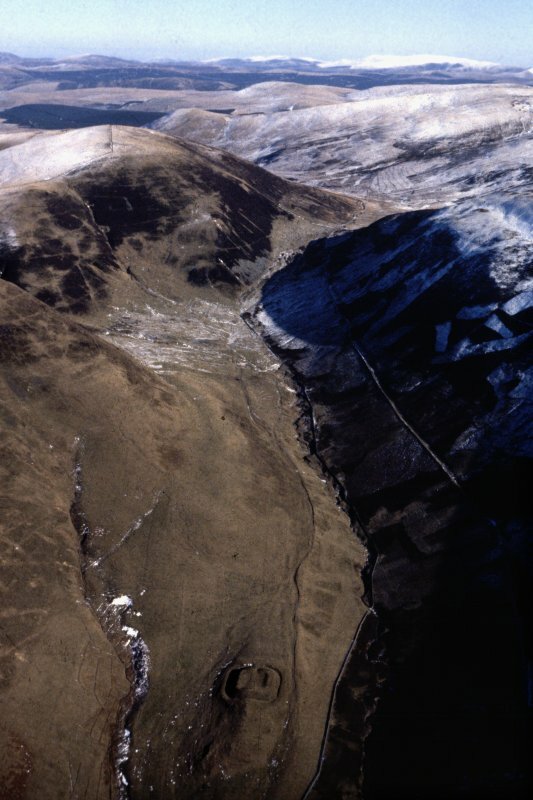 This fortlet, the best-preserved specimen of its class in the region, stands on a steep-sided ridge guarding the pass through which the Roman road climbs out of Nithsdale. It consists of a single massive rampart, 9m thick, and an outer ditch, partly rock-cut, and counterscarp bank, all enclosing a rounded oblong area measuring 31.5m by 18m. The entrance is at the north-eastern end, and 7.3m in front ofit on the levelled platform is a protective ditch or traverse at least 11m long. Vestiges of timber structures, probably barrack blocks, have been found inside. The road, with which this fortlet was associated, may have been in operation in the Flavian era (AD 85-c 105), but the fortlet itself is one of a number established during the Antonine period after AD 142. 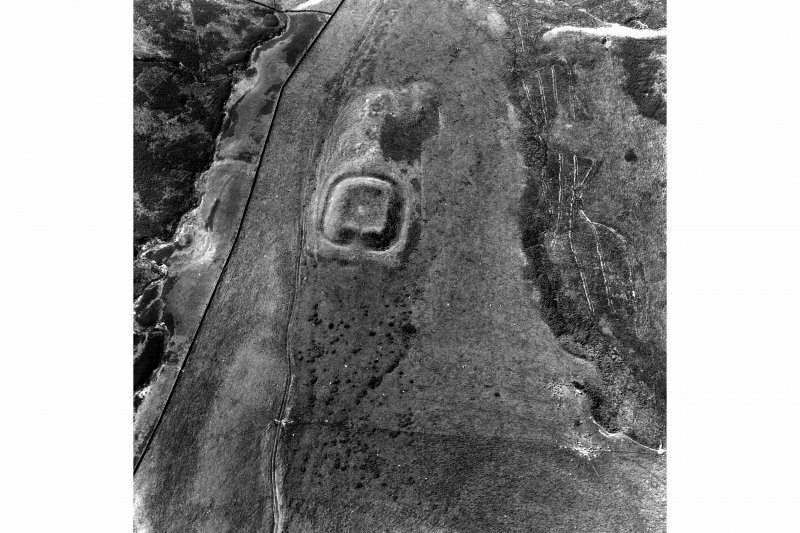 Military stations were placed about 16km apart, much closer together than in the most century occupation, and fortlets such as this housed detatchments from the main forts as a means oflocal control.